Hi! If you are a regular follower, you know that we LOVE Earl Grey tea! I tried to search our site to let you know how many times we've reviewed an Earl Grey blend, and found around 40 mentions. Stash, Fashionista Tea, Two Leaves, and more. So I'll let you use the magic search box to find other posts. There is even a bit on the history of the blend way back in 2013. Today I have a new brand of Earl Grey to share with you. This is Full Circle + Project 7 organic tea. I like the paper and foil pouches better because sometimes these are hard to tear or to find the tear slit. Mmmm, I love the smell of Earl Grey. It's so soothing but energizing at the same time. The end of the box has the brewing instructions for both hot and iced tea. We're making hot, so I'm setting the timer for 4 minutes. Mmmm, smells wonderful. Warm and tangy. The tang comes from the bergamot. Did you know bergamot is a type of citrus fruit? It can look like an orange on the outside and like a lemon on the inside. Some call them sour oranges or sweet lemons. They are very juicy. This blog talks about them a bit; and this wiki page or this one. Look at the lovely dark amber color. My three cups are ready for tasting. This is the plain one. It seems well balanced. You get a nice, smooth, tone from the black tea with the zip from the bergamot. Slightly acidic. Would be good cold and over ice. Now with sugar. I used plain, granulated sugar this time. The sweetness softens the flavors a little; not quite as acidic as plain. Honey would be good in this too. Plain sugar adds a sweetness; honey would also add another flavor note depending on the type like clover or wildflower or orange blossom. Velvety. The milk goes one step further than just the sugar and weaves all the flavors together. I'm not sure why milk works in a blend that incorporates a citrus note, but it does and does well. Of course, if you are a long time follower, you also know that we like milk in our tea. Especially Earl Grey. However, we are not so strict that we can't drink tea in whatever form is available. If I were somewhere with hot water, but no sugar or milk I'd be happy drinking this plain. There is an added bonus to buying this particular brand. They sponsor a program that donates a portion of the sales to feeding the hungry. A friend of Xyra's knows Marissa, a little girl who has recently been diagnosed with leukemia. She sent out a plea and we want to pass it along. 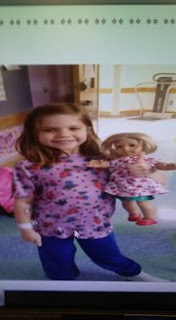 Let's do something FUN for this cutie pie. 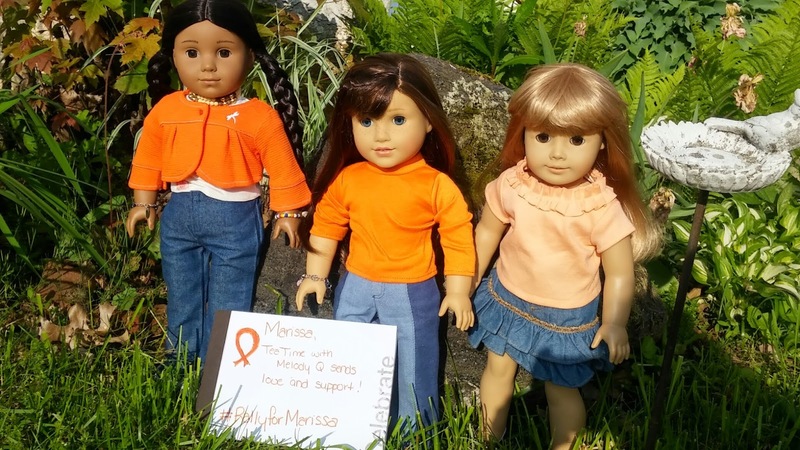 ORANGE is the color for Leukemia...so at my work and a lot of other people thought it would be fun to WEAR ORANGE THIS FRIDAY to show Marissa how much she is loved. Ok to all my FB buddies wear Orange on Friday and maybe even post a picture saying Rally for Marissa. She has a friend with her to help keep her company. Tea Time with Melody Q would love to see the doll community show it's support today too. Sorry for the last minute notice. 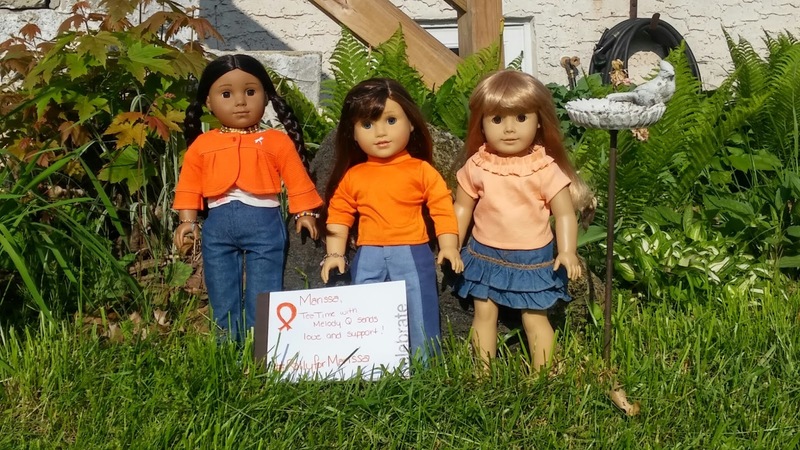 So if you have orange in your doll wardrobe please dig it out. 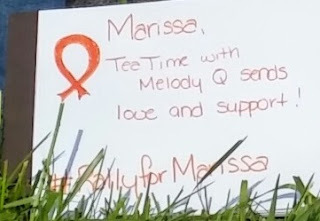 Dress to impress, draw a quick support sign, take a photo, and post tagged #RallyforMarissa. I'm hoping she will be able to see our support as well. Spread the love and best wishes! This is one we read out of order. We have friends who LOVE the Princess Diaries series, but we haven't really started it...yet. Once and awhile we find one at the used book sale and pick it up. That's what happened here. The we decided we didn't want to wait. I bet you're wondering if that was a good idea. Let's find out. Mia seems kind of selfish. But maybe her actions are.., what do they say.., out of context since we are reading out of order. I know we read this out of order, and there were a lot of missing pieces, but it was still interesting. What made it interesting? How Mia grew. The author took some time in this short piece to write a story based on character development. We learned about it in reading and language arts class back in February. Honestly, I wasn't fond of Mia in this story. At least not at first. She seemed...just not like someone I'd want to hang out with. But near the end of the story she started to get better. I think we should read the rest of the books to have a better idea about the characters. Have you read The Princess Diaries series? If yes, what are your thoughts - like it or dislike it - and why? Very short and interesting. I have not read any of the other Princess Diaries books and now I think I should because the movies are obviously much much different than the books. LOL Mia even says so in this mini installment. Filled with teen royal angst, as any teen diary should be, we get a unique take on Gift of the Magi. With lessons learned by a large group of characters. We LOVE the Kid Lit Blog Hop! Not only have we added books to our to read list, but we've also found some interesting blogs to follow. Check out May's blog hop. Let us know if you find anything fun. Oh, if you're wondering why only a few of us read the story...Kaya, between our make up lacrosse games and orchestra rehearsals and homework she doesn't have a lot of spare time for reading right now. I have the games and homework, but choir is over for the semester so I have a bit more spare time for fun reading. Lanie and Lea have had their heads in the gardens and gardening books when they can't be outside. And Grace has been studying French extra hard. Not sure why, but she is. 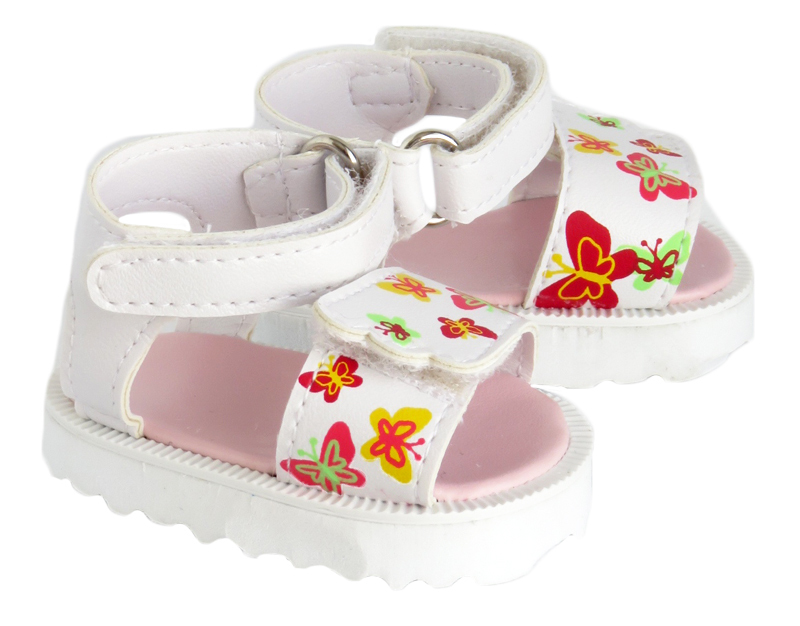 Have you seen the latest shoes available through Silly Monkey? They are a-dor-a-ble! Especially if you are looking for shoes you might find in large sizes, (drops voice) you know, human sizes. Ones that Clarisse or Alex DP or Sabine might wear. 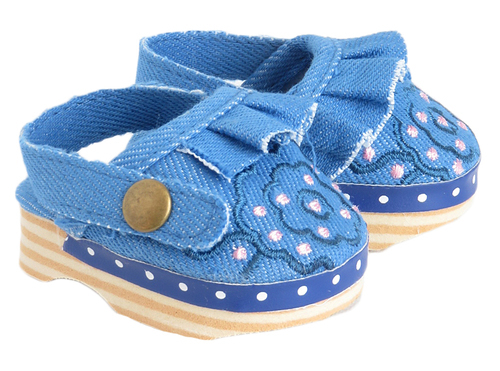 My favorites are the blue clogs! No, the studded gladiators would go with more things. Doesn't matter, there really is something for everyone. If you get a chance, do some window shopping. That doesn't mean you have to buy anything, just check what's out there. 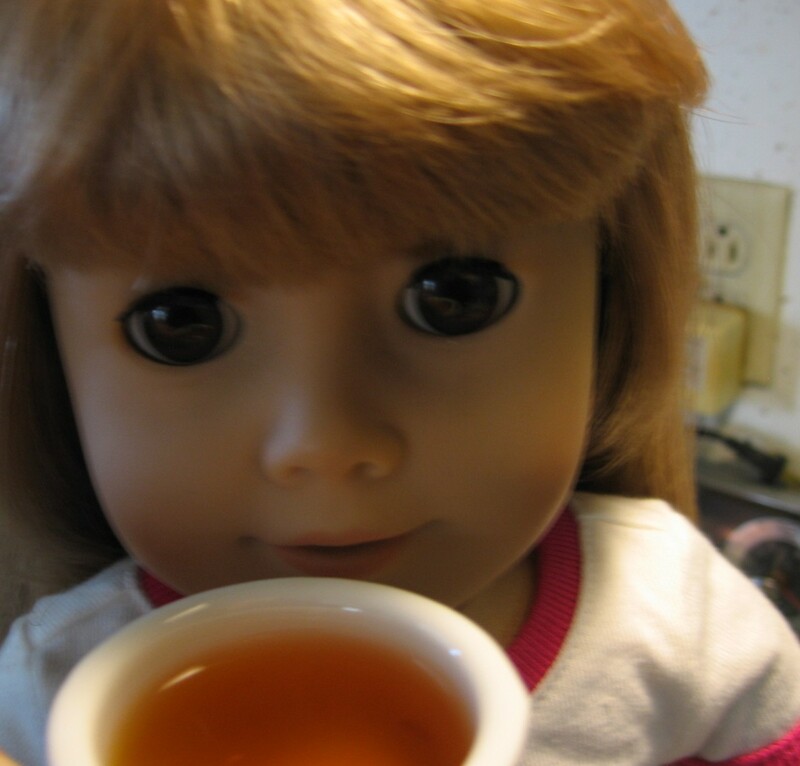 Note: Tea Time with Melody Q is not affiliated with American Girl, Madame Alexander, or Silly Monkey. We received a recent newsletter featuring the shoes and wanted to share. All links are for educational and informative purposes. No purchase is required or suggested. I LOVE May! Trees and flowers are blooming. Lilacs are a favorite. This is gorgeous plant each spring too. It kind of looks like honeysuckle from a distance, but when you look at the blossoms up close you can tell it isn't. The blossoms will fall away, but it stays green well into the late fall. We want to thank everyone who is wondering what has happened to us. We are still here. It's that busy time of spring when all sorts of things are due, coming to a close, and shifting. Xyra has been super busy at work. We're talking so many projects at once, she's started keeping more lists than usual and actually booked a massage last weekend. Everybody seems to need her to do this or that so computer time is sacrificed. Posts will be sporadic this month. We're not sure what next month will bring. Stay tuned.